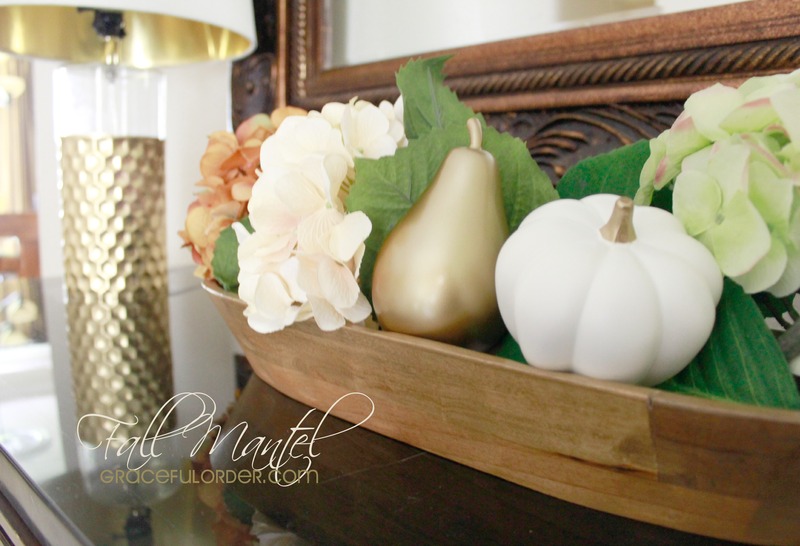 Decorating a fall mantel? I almost didn’t decorate for fall at all. It just feels like so much trouble to get out fall decorations, when I know all the decorating I will do in the Christmas season. But then, I started by decorating the front porch, and sure enough the next thing I knew, I was making pumpkins out of tulle for the whole house. Well, maybe not “making them” and not out of tulle, and certainly not for the whole house. 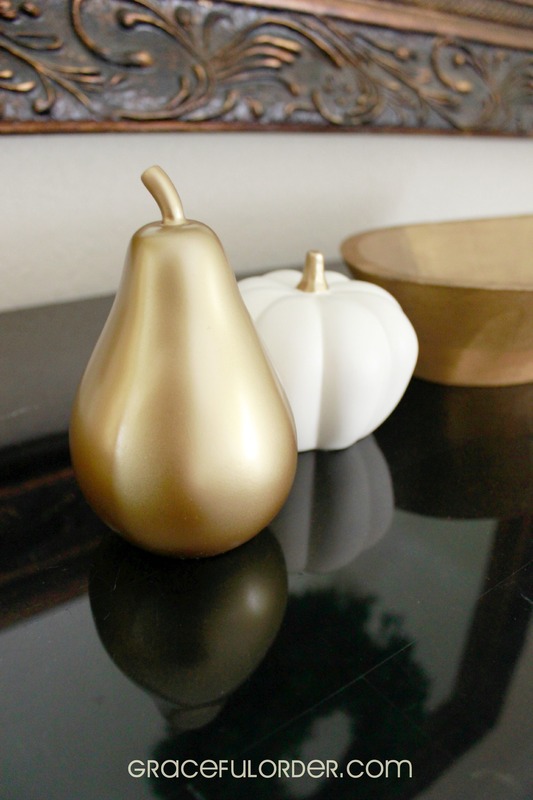 But I did buy two ceramic pumpkins at Target, so kinda the same thing. 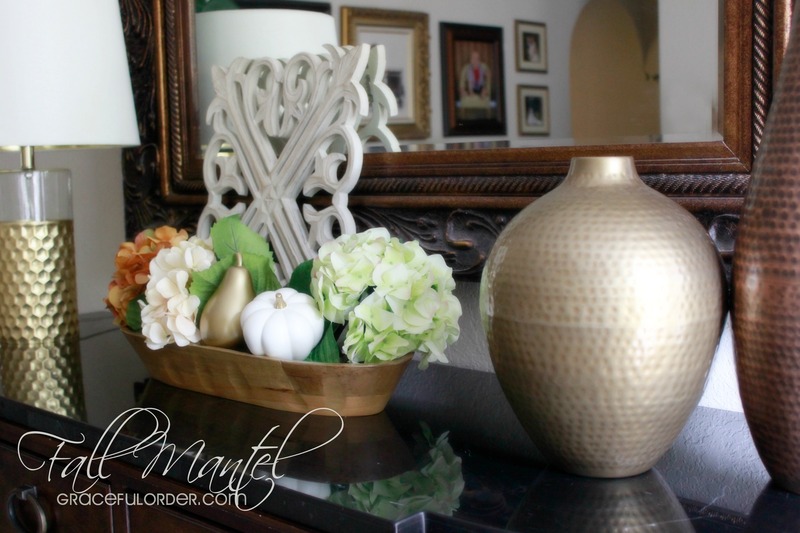 I was only going to decorate the mantel, so I stayed within the lighter fall colors to tie into the rest of the room. Keeping the existing color scheme, I purchased some stems and pulled others from my stash in the garage and I already had this wooden bread bowl. I cleared out the mantel, which honestly is the key in decorating a mantel. It’s easier to re-envision an area when you are not looking at the way it is already decorated. Even professional designers lose perspective in their own homes. 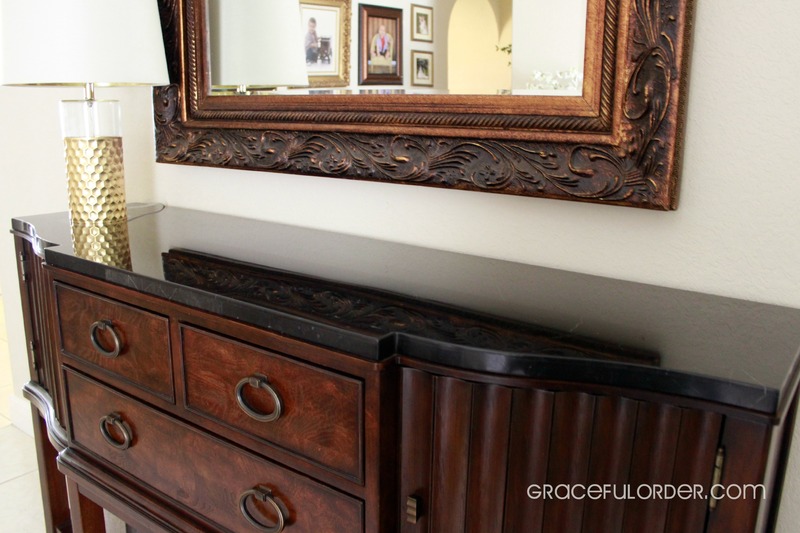 You look at furniture arranged in the same manner for so long, that you can no longer think of new placement. So definitely clear out the mantel and begin from scratch. I left the lamp because I need a lamp in this spot. 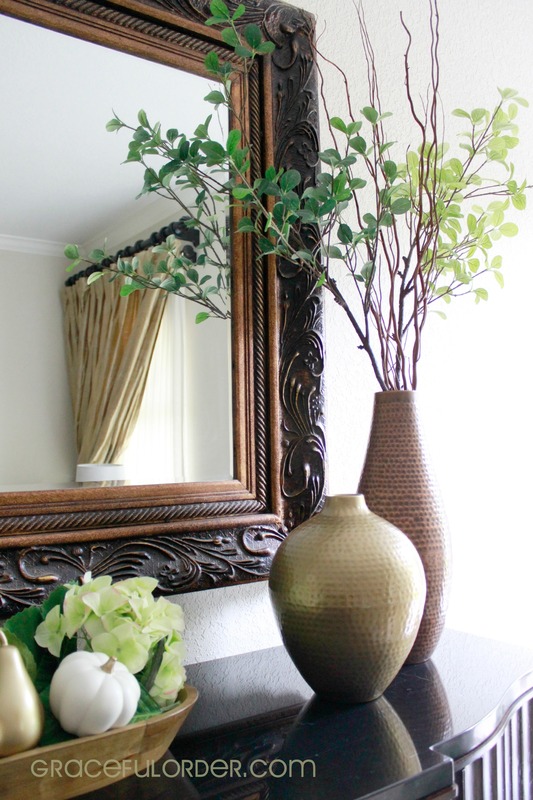 Start with the focal point or centerpiece (which is not always in the center). In my case, I decided that the bread bowl would be in the center. 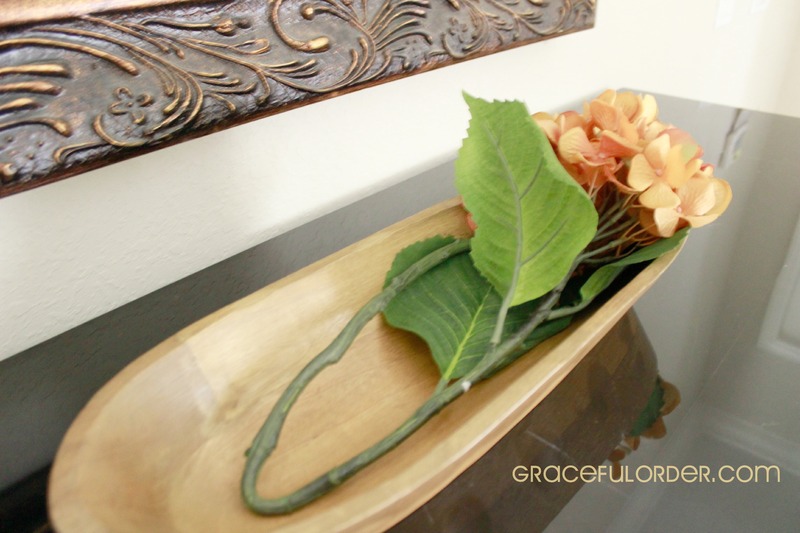 Then I added one of the hydrangea stems to the bowl. I didn’t cut them since I want to re-use them for other decorating projects. I did the same with the other stems, just folded them over. Then I decided to use the pear and the pumpkin to fill in the empty spaces between the flowers. And when I was done, it looked like this. 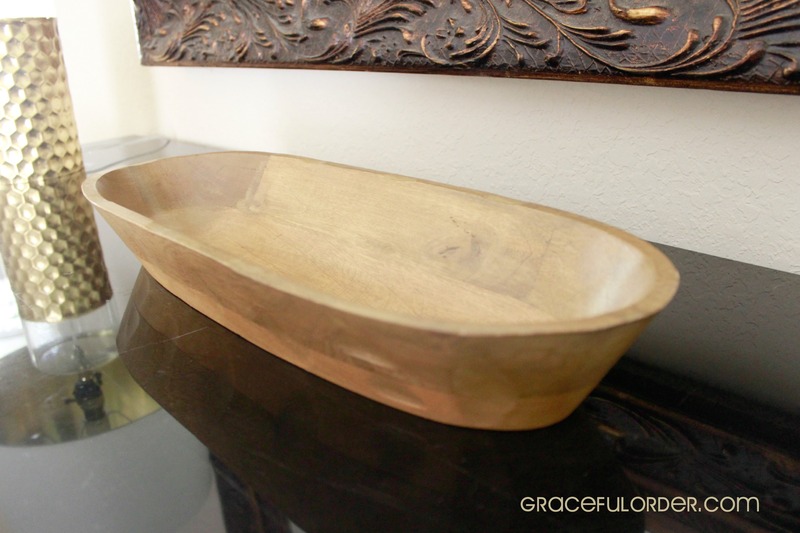 I added a sanded wood grid as another elegant yet earthy touch, to bring the look together. 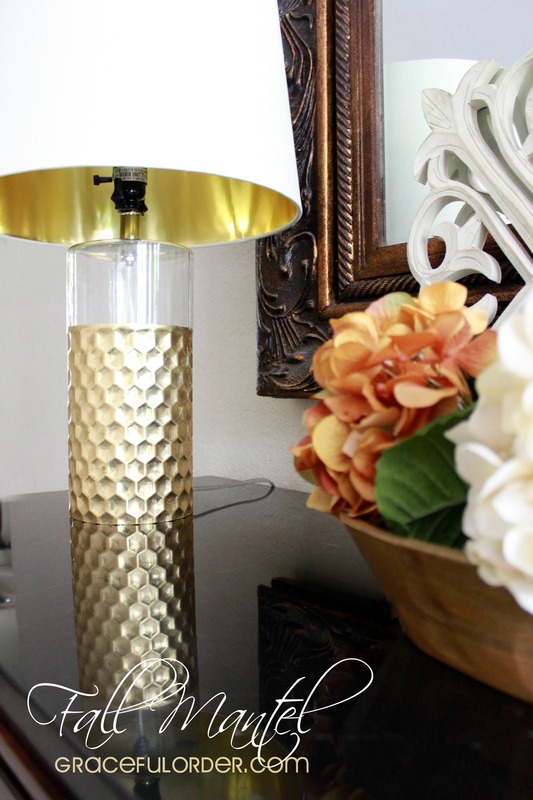 I left this lamp in the same place because I love the gold underneath the shade. It is such a simple looking lampshade with a little surprise inside. On the other side, I decided to bring in two vases that were previously in my family room. I didn’t even have to change the greenery. More pictures of the pumpkins, my favorite part. In the end, I was glad that I decorated (even a little bit) for fall. 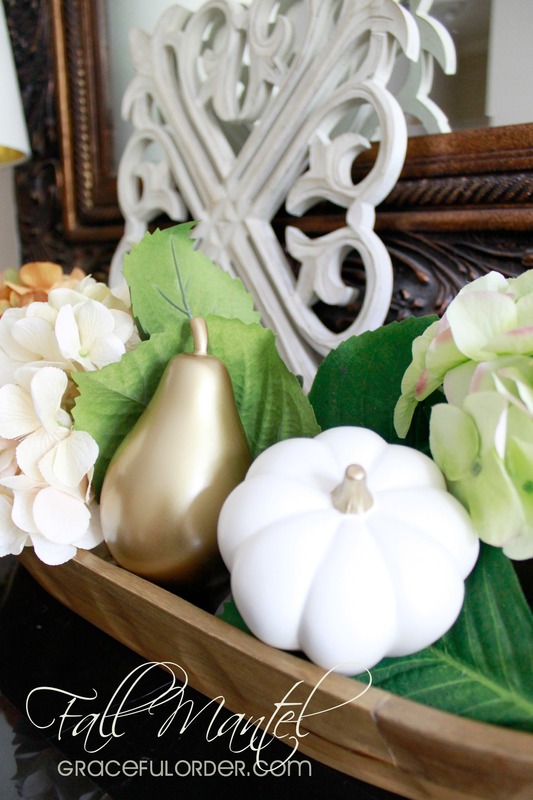 Do you decorate for all the seasons? Hi thanks for the great post. Fall is my favorite season and I also read your porch decorating blog for Fall. I would really love to see what you do with a Fall table setting. Any ideas for that on an upcoming post? 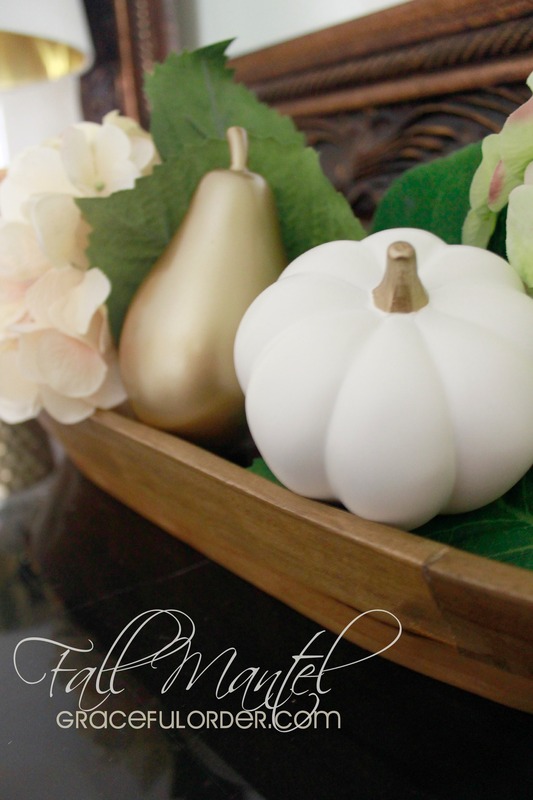 I do have a post coming up about setting a table, maybe I will set the table for fall. Thank you for the suggestion! 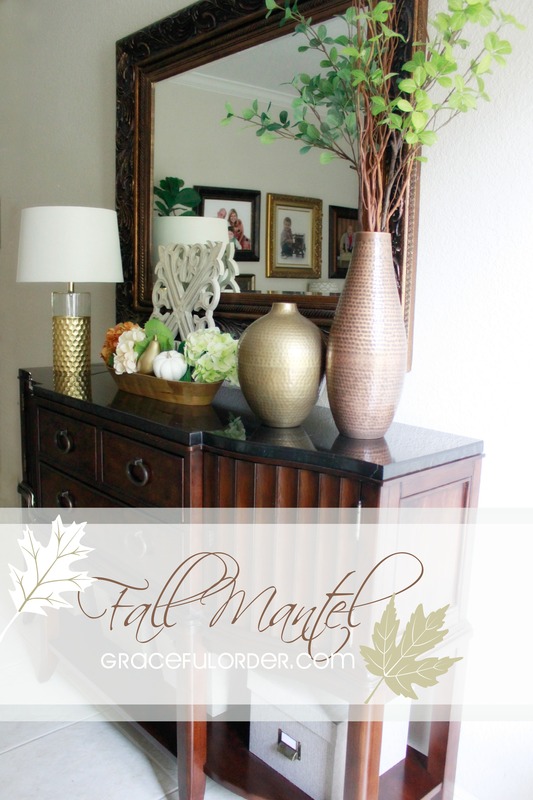 Your fall mantle turned out absolutely beautiful and I would love to see a fall tablescape. 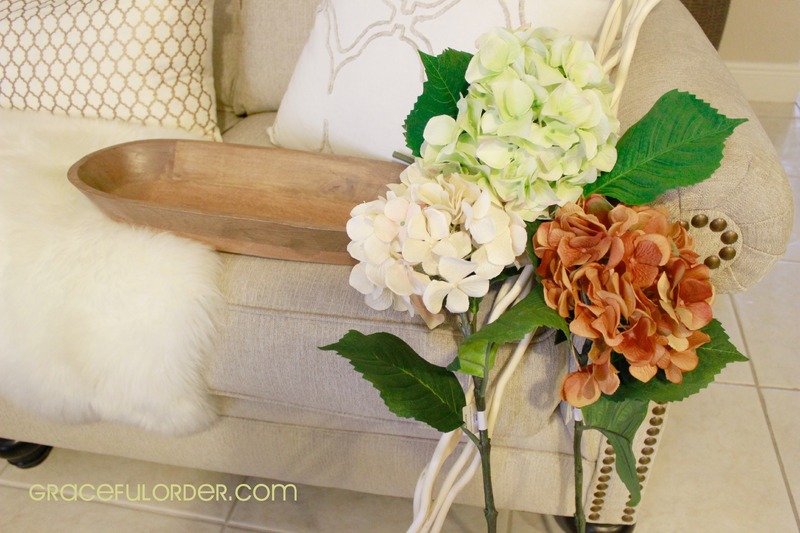 I love the earth and natural decorating tones in your home. Thanks so much for sharing. I am also going to see if my Target has those pumpkins too cute. Thank you! My Target still has them and they are on sale! Yay!